Lately, I’ve been having trouble with my insomnia…AGAIN. I’m never tired at bedtime, I wake up several times at night, and I wake up way too early in the morning. I’m dragging to get through the day because I’m so dang tired. A weird recipe came through my Facebook feed last week, claiming that eating bananas to sleep actually worked to beat insomnia. I had no clue that a banana could make you sleepy, so since I was tired (and desperate) I decided to test it out. So I found a few recipes and decided to be your guinea pig so I could tell you how well they worked. (or not!) Sure, I could have just eaten bananas before bedtime, but what fun is there in that? 2 Can Bananas Make you Sleepy? 6 Couldn’t I Just Eat Bananas to Sleep Better? 7 So Does Taking Bananas for Sleep Actually Work? Can Bananas Make you Sleepy? I was seriously wondering how you could take bananas to sleep better. Then it dawned on me, bananas contain the minerals potassium and magnesium. Two minerals that are your new best friends if you can’t sleep. 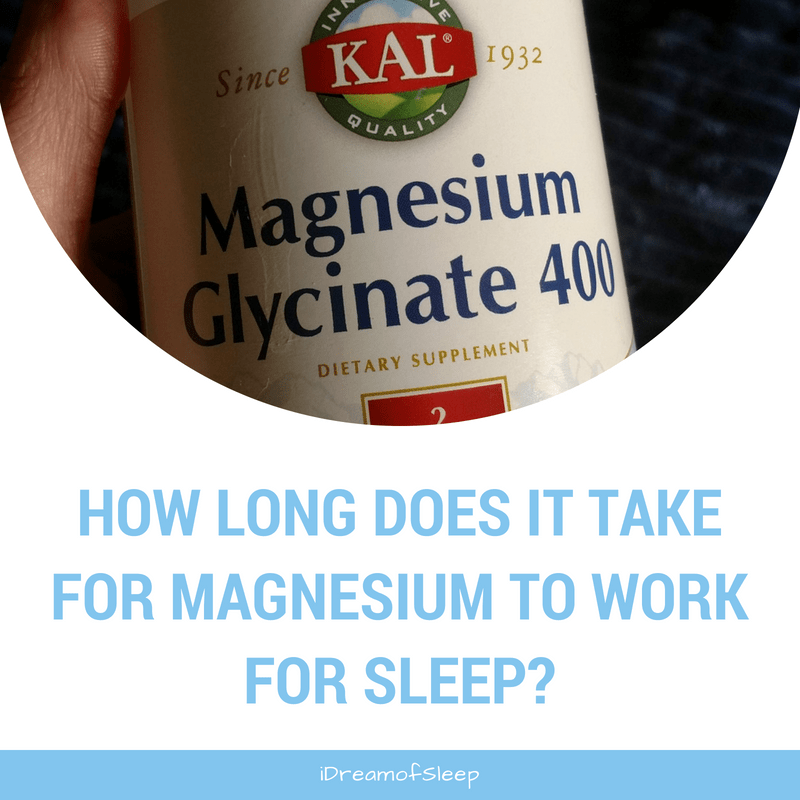 If you don’t have enough magnesium in your body, you will have problems sleeping because insomnia is one of the symptoms of magnesium deficiency. 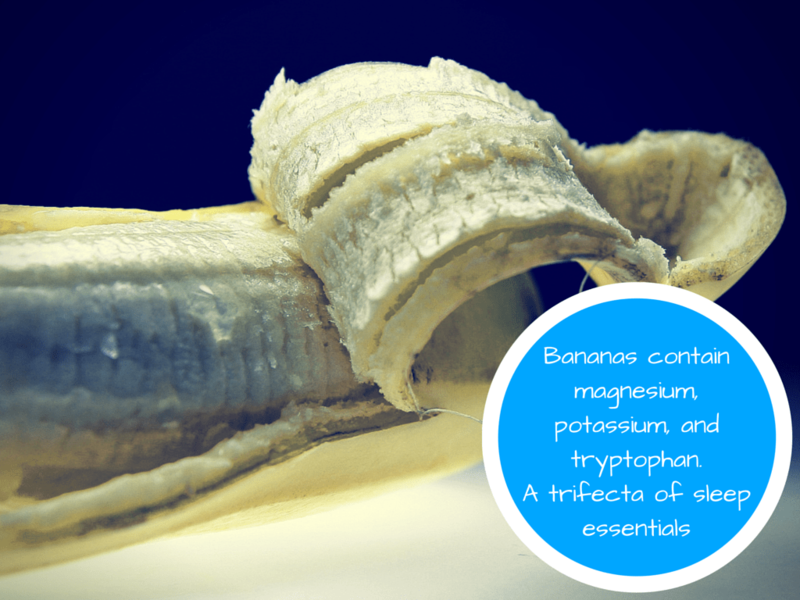 Bananas have a whopping 33 grams of magnesium. That’s one little power packed package! Potassium is important for sleep, too. Magnesium is more effective if it’s paired with potassium. Potassium regulates your blood pressure and relaxes muscles. If you’re bothered by restless leg syndrome at night, potassium can help that, too. One thing I did not know that bananas contain tryptophan. That’s that lovely amino acid in turkey that makes you sleepy after you’ve pigged out on Thanksgiving. Tryptophan eventually breaks down into melatonin and seratonin. 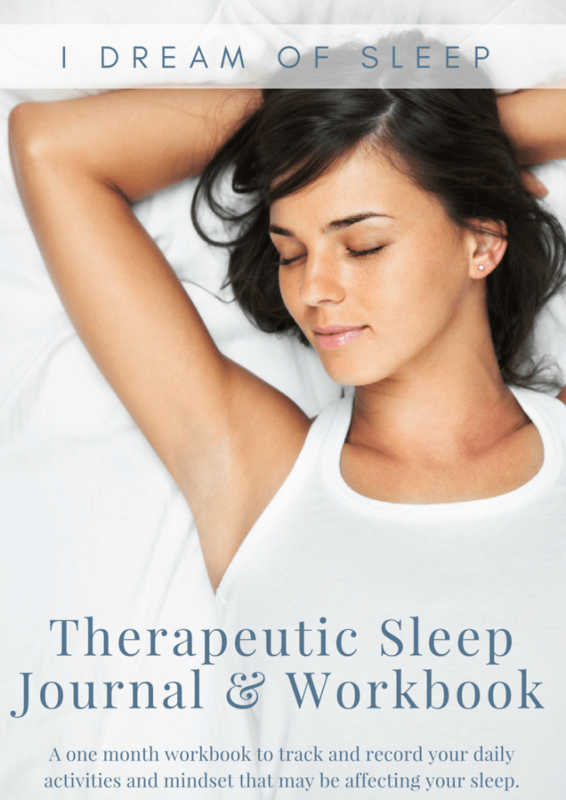 Two hormones that you must have in order to sleep well. 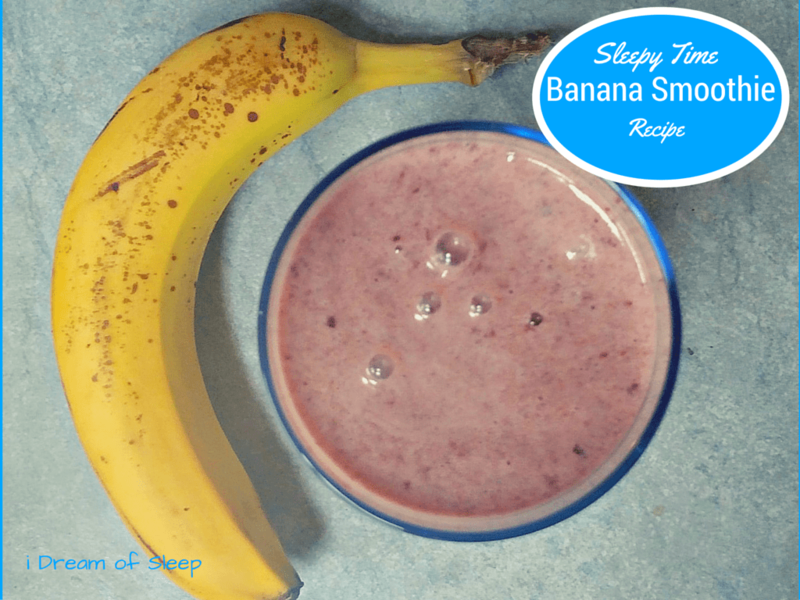 So, yeah, bananas definitely do have the power to make you drowsy, especially when you put them in sleep drinks. 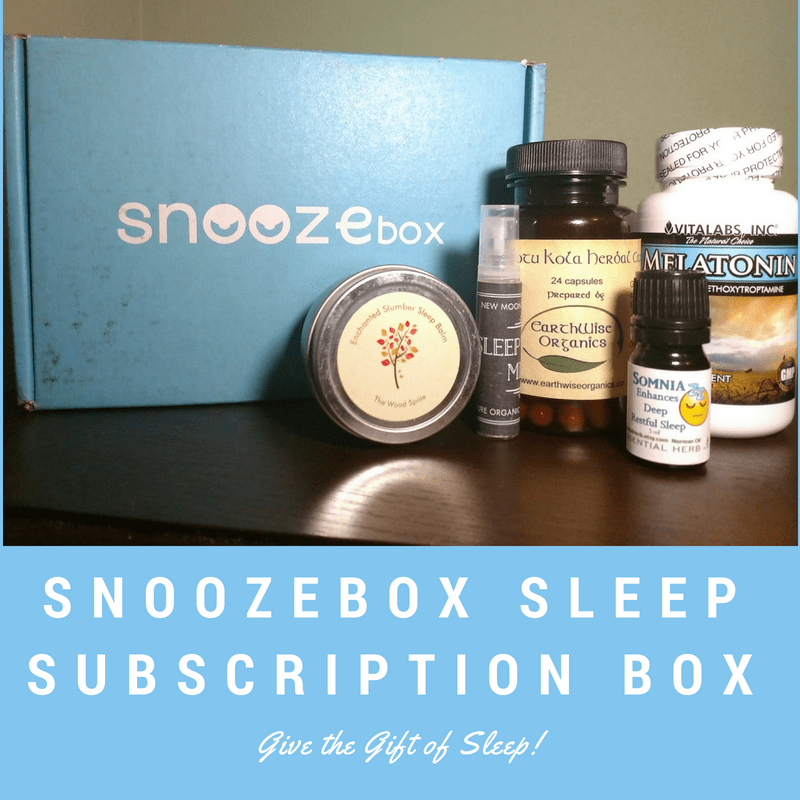 But would it be enough to help someone with serious sleep issues like me? Honestly, this one kind of grossed me out. 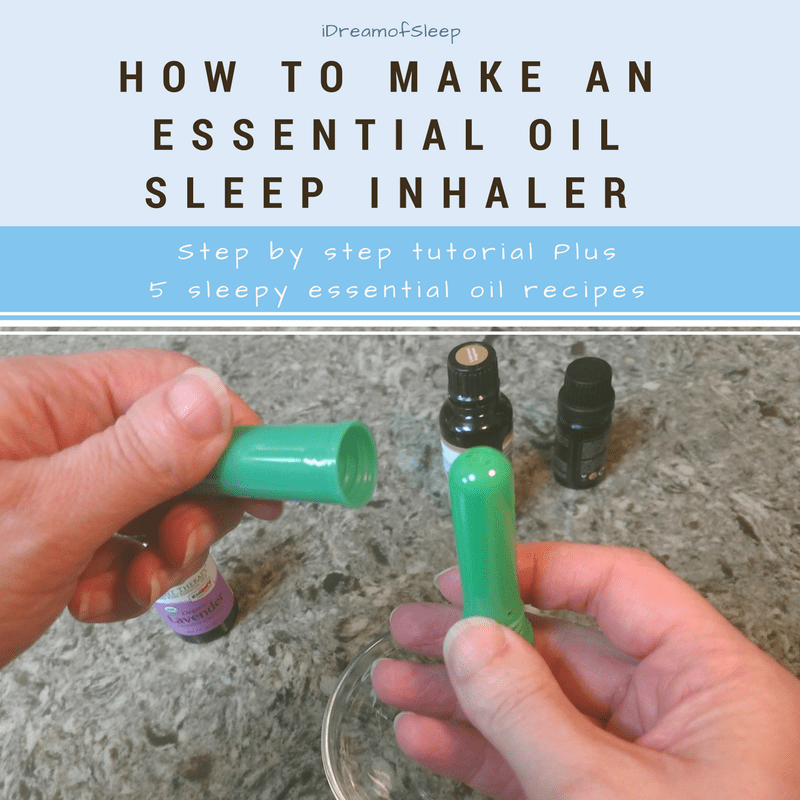 It’s one of the more weird all natural sleep remedies I’ve tried. Never in my life have I ever considered eating a banana peel, but apparently the peel is edible and just as good for you as the actual banana! The banana peel contains a concentration of magnesium and potassium, along with vitamins B6 and B12. It only ups the benefits of taking bananas for insomnia. This tea also contains cinnamon. Didn’t know cinnamon was good for insomnia? Keeps your blood sugar on an even keel. That means no sugar spikes that can wake you up in the middle of the night. Just be sure to use pure Ceylon cinnamon for better benefits. The cinnamon sold in most grocery stores isn’t really cinnamon, it’s actually cassia, the bark from a tree that’s cheaper to harvest. Bring 2 cups of water to boil in a small pan. Next, cut the ends off an unpeeled banana and place in the boiling water. Boil for 10 minutes. Remove from heat, strain if needed. 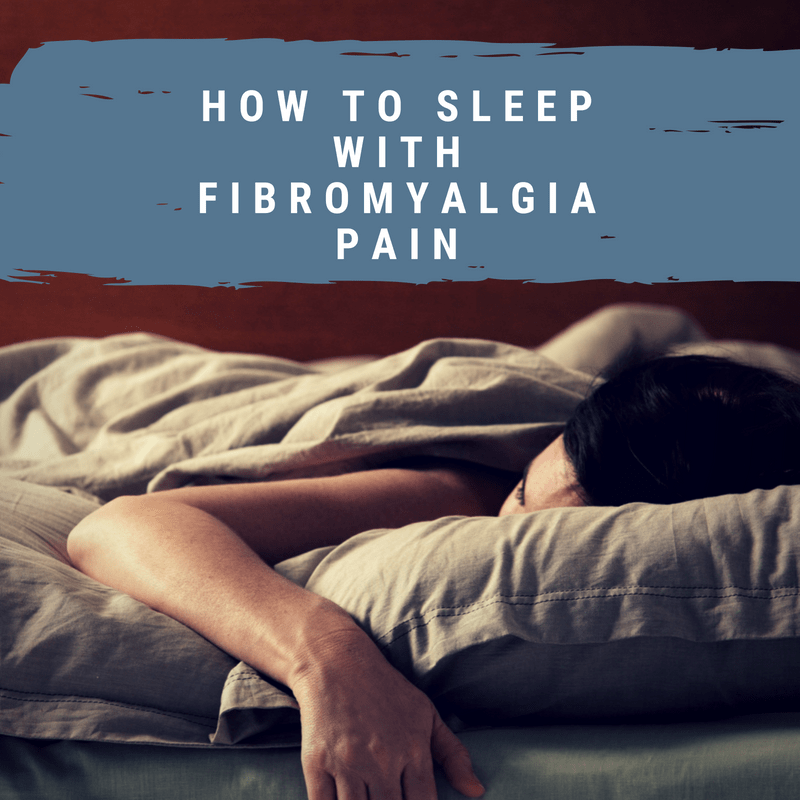 Add a splash of cinnamon and drink a cup of tea an hour before going to bed. TASTE: This tasted amazingly like….nothing. I was expecting an overpowering banana taste, but there was just a hint of banana. I tasted more cinnamon than banana. All in all, the flavor wasn’t that bad. DID IT WORK: I drank a cup of tea about 45 minutes before I went to bed. I wasn’t sleepy when I got into bed, but it didn’t take very long for me to fall asleep. I’d been having problems for the previous two weeks waking up several times in the night, but the night I took this I slept through the night. Woke up feeling pretty perky. This tea gets an A for effectiveness, C for flavor just because there was no flavor. TIP: Only use organic bananas in this recipe. Bananas are sprayed with insecticides to keep pests away. You’ll be using the skin to make the tea, and you don’t want the possibility of ingesting chemicals. Bananas aren’t the only sleepy ingredient in this smoothie. 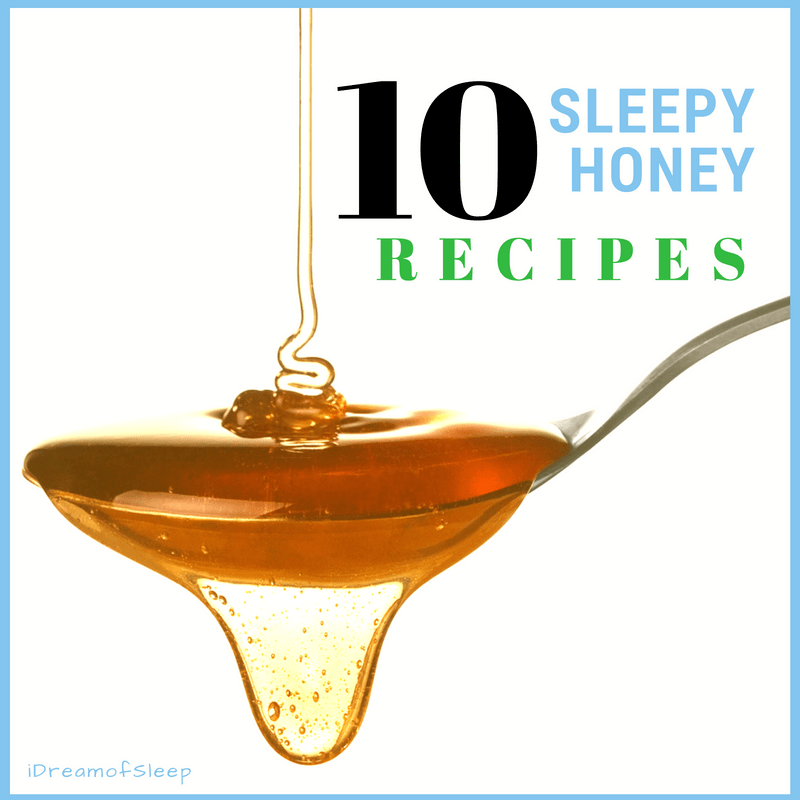 It also has raw honey, milk, and nutmeg in it, three powerhouse natural sleep aids. Raw honey acts as a fuel to keep your body balanced throughout the night. Honey fuels the liver, which turns that fuel into glycogen and keeps your blood sugar from spiking or dipping too low. Two things that will wake you up in the middle of the night. It may be an old wives’ tale, but milk does make you sleepy because it contains tryptophan. FUN FACT: Organic whole nutmeg acts as a sedative and has properties similar to tranquilizers! Cut the ends off an UNPEELED banana. Add the banana, a cup of milk, a handful of ice, 2 tablespoons of raw honey and 1/4 tsp of nutmeg. Blend until Smooth. TASTE: I was most nervous about this recipe because it meant I had to actually eat banana peels. I was afraid it would be bitter, but it wasn’t. This smoothie had a lot of banana flavor, and I’m sure it was from the peel. It was actually pretty good. It tasted like a regular banana smoothie. DID IT WORK: I still had a hard time getting to sleep, but once I fell asleep I didn’t wake up until it was time to get up the next morning. I’d give this smoothie a B for effectiveness and flavor. TIP: Only use organic raw honey. Commercial honey has been pasteurized and its nutrients have been cooked out. 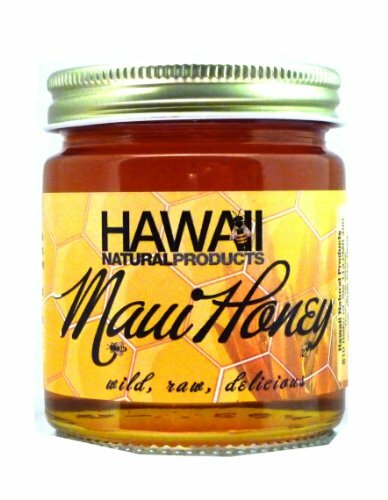 Nature Nate’s 100% Pure, Raw and Unfiltered Honey Really Raw Honey, Totally Unprocessed Maui Raw Honey – Wild, Rich, and Unprocessed! This recipe intrigued me because I’ve never heard of warm smoothies. But I think it’s more homey and would be better to drink in the winter than an icy smoothie. 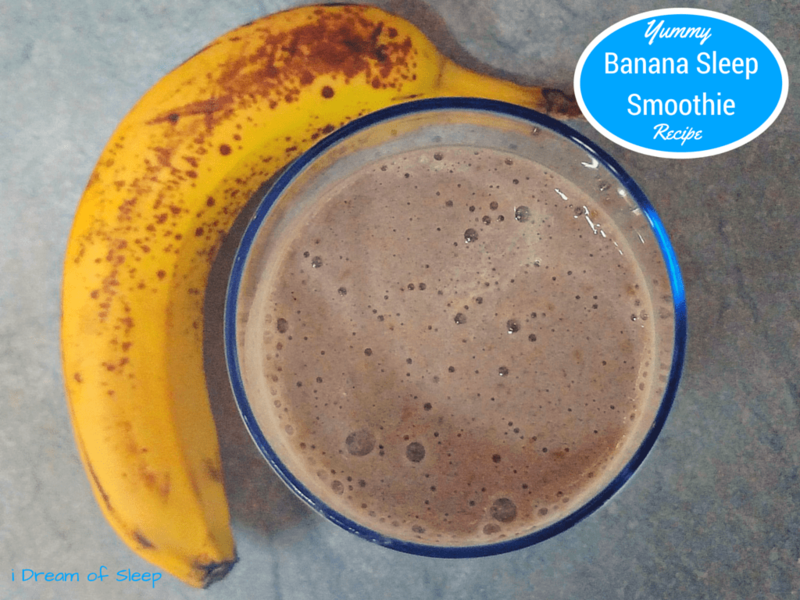 Unlike the other smoothie recipe, this recipe uses peeled bananas. 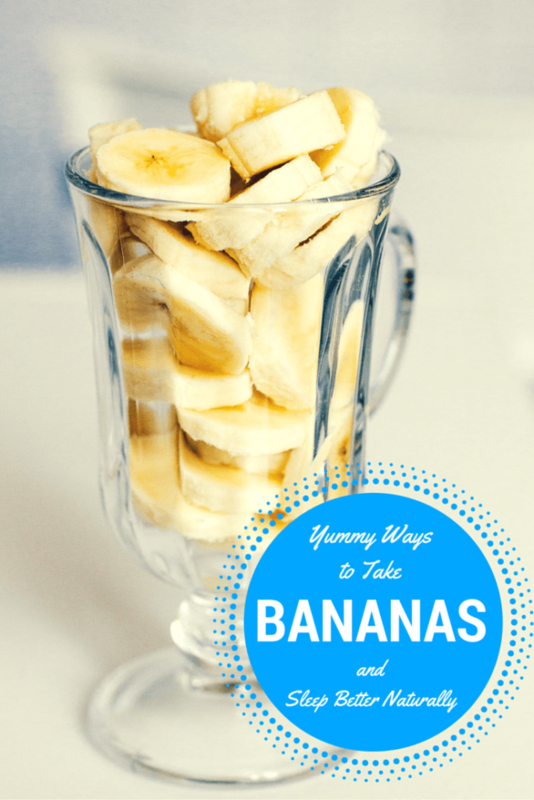 So if the idea of eating banana peels kind of grosses you out, give this recipe a try. To a blender, add 1/2 cup warm milk, 1/2 peeled banana, 1/2 cup pitted cherries, 1/4 tsp nutmeg, and 1 tsp raw honey. Blend on high until smooth. Drink an hour before bedtime for best results. TASTE: Umm….Yum! This was unbelievably good. I’d drink this even if I wasn’t having trouble sleeping. I was surprised how well I liked it being a warm smoothie. I can see how this would be a perfect sleepy drink in the wintertime. Love the cherry/banana combo, and the nutmeg gave it a yummy spiciness. DID IT WORK: I didn’t feel overly sleepy by the time that I went to bed. That being said, it didn’t take me long to fall asleep either. I did wake up once in the middle of the night, but fell back asleep pretty easily. I also didn’t wake up way too early in the morning. I actually slept till a decent time. I give this a B+ for effectiveness and a A+ for flavor. TIP: You can make this a cold smoothie by using cold milk, frozen cherries, and a handful of ice. Blend until smooth. Couldn’t I Just Eat Bananas to Sleep Better? You definitely could eat a banana before you went to bed at night and it would be just as effective. You could also get creative and eat them baked, which seems to enhance bananas’ sleep properties. Preheat oven to 350 F. Cut the ends off an UNPEELED banana and split it long ways. Sprinkle with cinnamon, nutmeg, and raw honey. Baked for 10-15 minutes or until the banana is soft. So Does Taking Bananas for Sleep Actually Work? I was surprised when I first read that bananas could be used as a sleep aid. I was even more surprised when I found out that bananas were an effective sleep natural sleep aid. My favorite was hands down the warm smoothie. It had the best taste and seemed to work the best for me. I think it would be something I’d drink on winter nights, even if I wasn’t having trouble with my insomnia. So do bananas make you sleepy? I think they can. 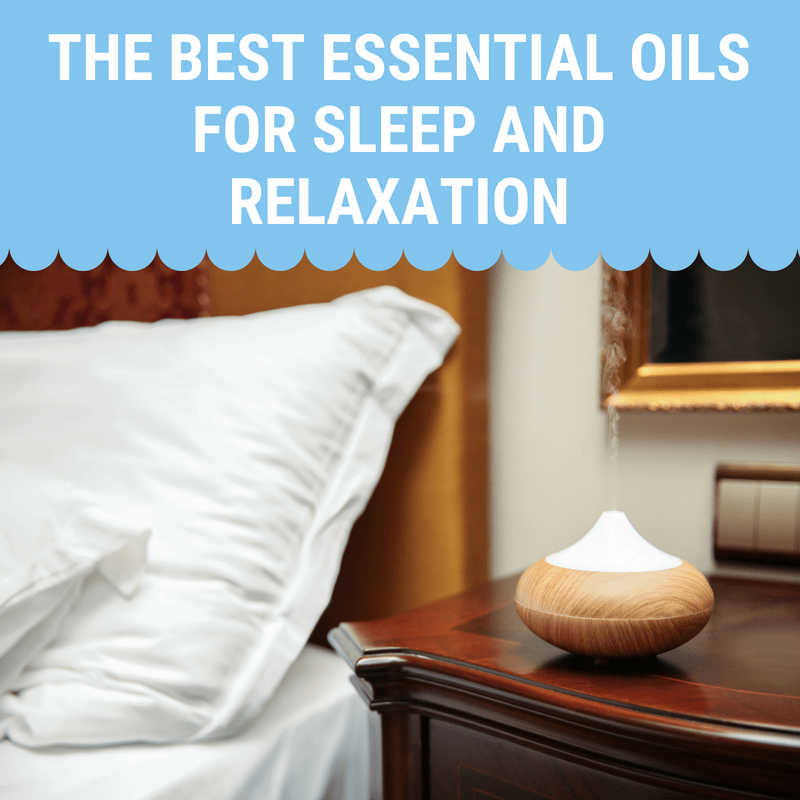 It’s definitely a tasty alternative to put in my arsenal of natural sleep remedies. 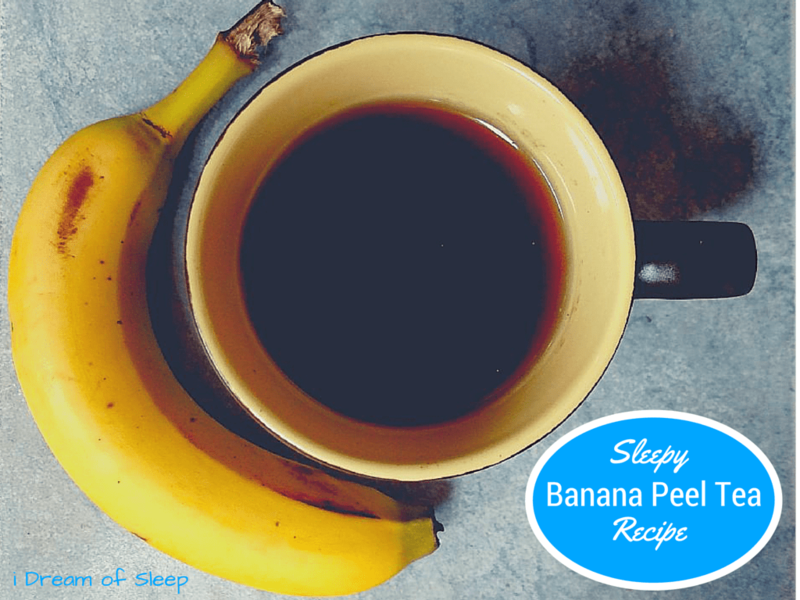 Next time my insomnia rears its ugly head, I’m definitely going to try bananas as a sleep aid!